Summer is in full swing! 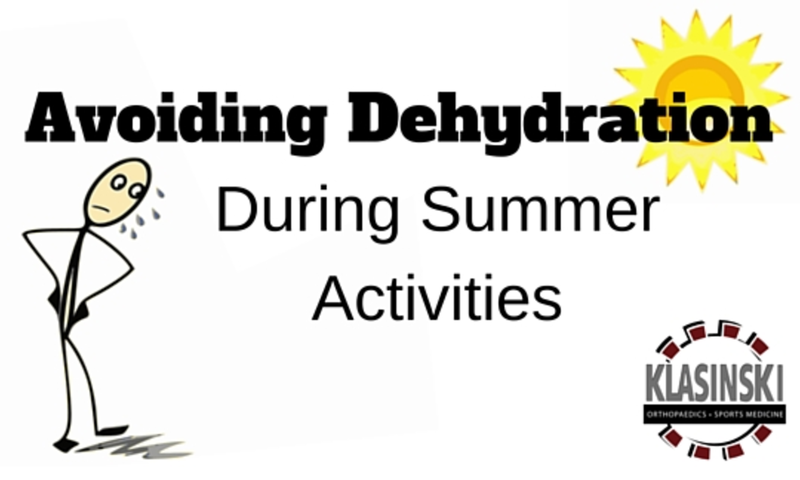 Before you get started on all your activities and events this summer, familiarize yourself with the symptoms of dehydration below in order to have a safe and carefree summer. Dress with sun protection in mind. Wear light-colored, lightweight, and relatively loose and breathable clothing. Dark clothing tends to absorb more heat, and tight-fitting clothes don’t let your skin breath properly. Sunglasses, hats, and light layers help protect your skin from harmful ultraviolet rays. Sunscreen and lip balm with SPF are smart choices as well. It’s important to hydrate with water prior to going out and to build a sort of reservoir of water if you are facing a long period of time outside in the heat and sun. Feeling thirsty is a sign that you are already dehydrated. Rehydrating will make your body function better, adapt better, and (in addition to healthy and balanced meals) will fuel you for the day. If you are at the beach, a patio brunch, or a summer cookout, you are bound to have plenty of options for juice, soda, and lemonade at your disposal. Avoid these sugary and calorie-laden choices and make water your choice drink for the summer. You can enhance water with some fresh cut fruit or flavored ice cubes to enhance its appeal. Remember that alcohol and caffeinated drinks will dehydrate you quicker, so if you are indulging in beer, wine, or cocktails, alternate each serving with a glass of water to keep you hydrated. Healthy snacks rich in vitamins and nutrients will fuel your day and help keep you well-hydrated. Choose options high in electrolytes and potassium – think fresh fruits and vegetables. Excellent choices include watermelon, strawberries, grapefruit, peaches, cantaloupe, and pineapples. Vegetables can be an excellent source of hydration as well, so look to add cucumbers, green peppers, spinach, tomatoes, celery, and radishes to your summer meal rotation. If you attend sports games, fairs, or even the movies, you know how expensive buying water can be. Keep reusable water bottles with you. This way, you can stay well-hydrated at all times and refill them throughout the day. 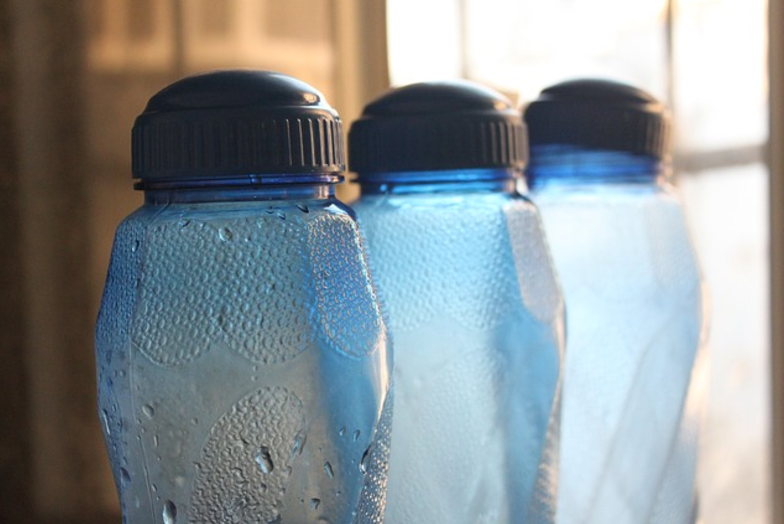 For a trick to keep you in full access to cold water, fill water bottles at night and freeze them to ensure ice-cold water throughout the next day. Avoid going out in the sun during the hottest parts of the day, typically between the hours of 10 a.m. and 2 p.m. Schedule your sessions around the peak hours, and opt for an early morning, late afternoon, or nightly exercise. If you can’t reschedule your workout times, seek shaded running paths and routes that take you past convenience stores or cafes in the case of an emergency. To keep track of how much water you should be drinking a day, check out the Water Intake Calculator, which takes in account your weight, daily activity level, and environment. And remember, Klasinski Clinic is offering complimentary sports physicals and ImPACT testing for our local athletes June 14th, July 13th, and August 4th. Give us a call at (715) 344-0701 to schedule an appointment, or visit our Sport Physicals page for more information.